Customarily HR departments have operated in silos but the range of data being collected coupled with its value to business strategy has led to the rise of people analytics. People analytics is the analysis of data collected by HR used to help managers make better decisions. What started as an activity carried out by a small team has now become mainstream. This has led to the evolving role of HR – now involved in operational improvements as well as workforce planning and talent management. The adoption of this data-driven approach combined with sophisticated HR systems, has enabled people analytics to become widespread. As its positive impact on the bottom line continues, HR leaders are now required to use retrospective and real-time data to have deeper understanding of the workforce. People analytics enable HR leaders to identify actionable insights to improve workforce retention and recruitment. The three main types of HR data are: people data (payroll, benefits, data collected workforce management systems), programme data (attendance, adoption, training), and performance data (360 assessments, succession programmes). It should be noted that both qualitative and quantitative data is key to successful people analytics. Group HR Director at Pentland recalls, “I would assess the qualitative to get our numbers, but the qualitative was very valuable.” The result? Pentland ranked in the UK’s top 10 large organisations to work for. Wisely choosing what data to collect is fundamental to solutions-driven people analytics. Andrew Spence, HR Consultant at Glass Bead Consulting shares an example of a bank experiencing stress related absence. By noticing trends they were able establish metrics that predicted when there would be increased risk of stress-related absences. This was used to implement a 24-hour helpline – a quantifiable solution where savings can be measured as well as a wellbeing initiative. Collecting data that meet the objectives of the business makes people analytics valuable. It’s also important to consider ethical concerns; some have voiced humanitarian concerns over people analytics being used as a tracking mechanism instead of a drivers for improvement. Business growth is not simply based on previous profit margins so “understanding the performance areas…how engaged the employees are…and how the investment has been made to get them “future-fit” are of interest to stakeholders. Salina Gani, Head of HR at Le Pain Quotidien states, “If you can improve employee experience, you’ll improve your performance as a business”. 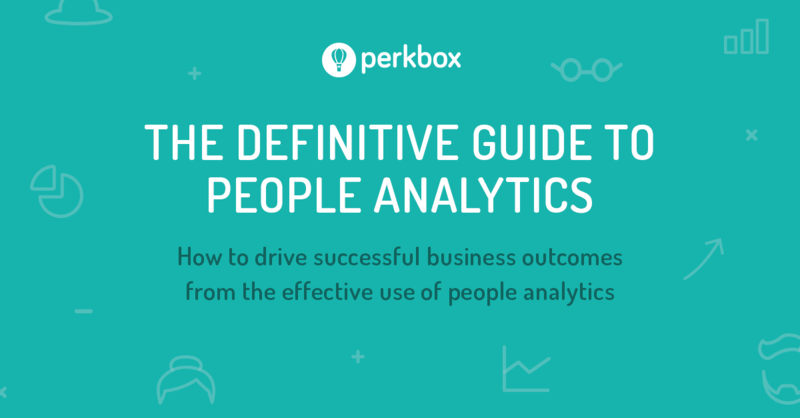 For a more detailed insight into how other organisations have successfully used people analytics, and how you can improve your people analytics now, please download our report on The definitive guide to using people analytics to inform business strategy.